The Mary Beale Restaurant is named after the stunning art work by Britain's first professional woman painter. Many of her original works adorn the walls. Our Executive Chef Wayne Turner and his team together with the restaurant brigade can now offer you a memorable dining experience with gastronomic delights on the menu and for those with smaller appetites delicious light meals or snacks can be served in the bar. 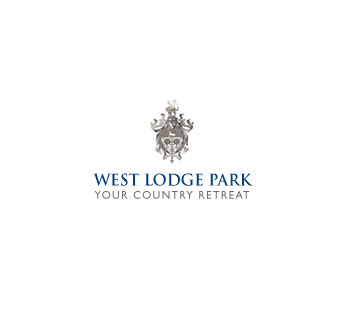 I booked afternoon tea at West Lodge Park to celebrate a special birthday. We all enjoyed  such a lovely afternoon. Everything  was perfect. As I have always highly recomend you to friends and family and have had several visits. 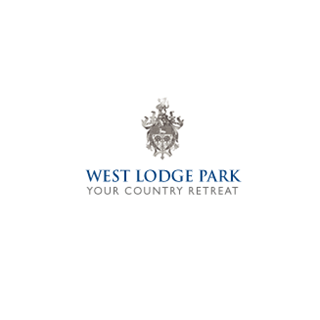 Westlodge is one of my favourite Hotel's. I am  sorry to say I was not very happy with the service and food this time . I was suppose to get chips with my bream fish....instead I got new potatoes. The birthday girl did not get her tea that was ordered after dessert. The waitress forgot. The time we came was 14.00 and not15.00 as  above. I requested on the booking date - when the dessert was brought to the birthday girl it should have had birthday Deco instead I had to request it in front of the birthday girl.This was a special birthday and wanted it to be little special for her. The waitress apologized then came back with selection of small chocolates but forgot the oredered tea. We did not bother to wait and asked for the bill. When the bill arrived we were charged for the tea after checking we had to inform the waitress it was not delivered. So sorry but I was very disappointed over all. I was very disappointed with the customer service having booked an afternoon tea for my elderly mother with my brother (for a belated mothers day). I was given a table right at the entrance of the door where the bar is when the booking was for Mary Beale Restaurant. I had to ask for a menu, then ask for clotted cream and jam because the scones arrived without it and were getting cold. The tea is in such a big heavy teapot that it would have been more suitable if given a smaller pot for two as my brother had a coffee. I had to ask for the bill and when not given, I went to find where I could pay. Definitely not 5star service and embarrassing having come to a hotel of such class to have young staff not trained properly  Would not recommend at all and will be forwarding this complaint so that staff are given proper training to serve guests at a high class hotel. As ever we had lovely Sunday lunch and a relaxing time. We had a really great family gathering and many thanks to your staff for looking after us so well. Food and venue were excellent. Only slight gripe was the decision to move us into the main dining room without telling us - especially as I had checked a couple of times. But quite honestly, the meal was lovely and the atmosphere in the dining room great. So we'll be back!! Excellent surroundings. Good service and the best sticky toffee pudding I've ever had! Mother and was given the menu, again, the charge on the menu for basic afternoon tea stated £23 pp Yet when the bill came up it was £49 (£24.50 pp). We had nothing extra in addition to the basis afternoon tea. I didn’t query the bill as I had treated my mum and didn’t want to discuss the charge in front of her. But I could not understand the extra £3. It did not state that it was a service charge. A very lovely afternoon tea. Sandwiches and cakes were boring. Came here last summer and I must say it wasn’t as nice this time. Once again a 5 star experience with a special mention for Joe who made everything top notch. A lovely way to celebrate our 50th wedding anniversary with this gift from friends. Lovely to have vegan options and that individual requests were accepted. Beautiful settings. Great service. Food was tasty but the sandwiches were a little dry. Scones were delicious!! We are a group of friends who like to try different restaurants, we will definitely be returning. The venue, food and service was first class. Nothing was too much trouble. We felt the menus catered well for both non vegetarian and vegetarian diners. Thank you. Very pleased with the service. Food very good, just one comment, the lamb was tough. my goddaughter's daughter aged 5 was able to entertain us to ballet between courses, good job we were in a side room! Very relaxing atmosphere. The food and staff were amazing! As always a magnificent experience. We could not find fault anywhere. A wonderful meal in a relaxed setting with an efficient friendly waiter. Lovely food - the fish was delicious. A big hats off to our lovely server Matthew who skilfully and patiently dealt with a very rude and demanding customer at another table. He deserves a medal. A lovely relaxing meal in tranquil surroundings - thank you. I have dined in the restaurant usually 2 or 3 times per year and enjoyed everything.